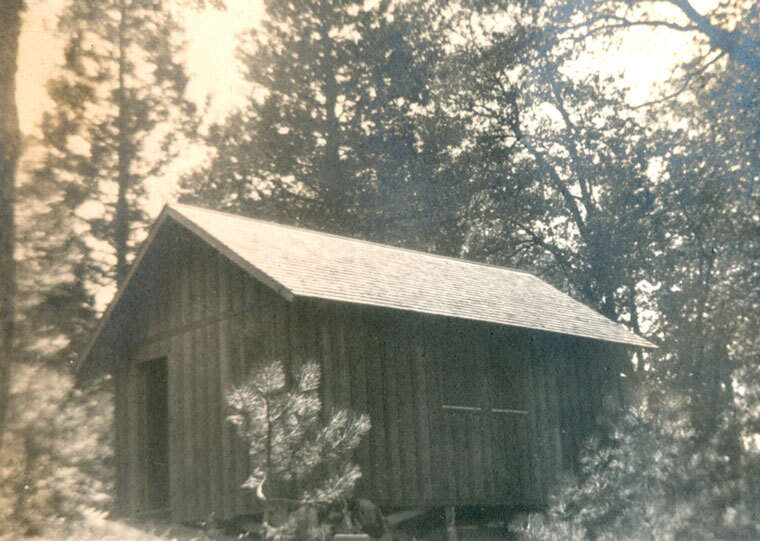 In 1924, Elwood M. Jones leased the second lot in the newly created “Tahquitz Summer Home Tract” in Saunders Meadow. The U.S. Forest Service opened up these tracts allowing leasing in the National Forest under the “Term Occupancy Act” passed by Congress in 1915. Saunders Meadow was one of the largest with 59 lots. 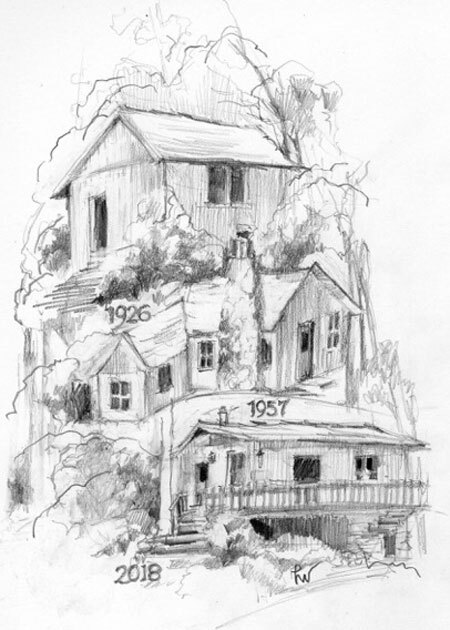 The Jones cabin had the distinction of the “longest held lot in the same family” resulting from the Term Occupancy Act. Elwood, a 33-year old pipe salesman in the oil industry downtown, heard of the tract from “Ranger Joe” while fishing at Domenigoni Flats, near the current Idyllwild Arts Academy. A Kansas farm boy, now with a family in Pasadena and work in downtown L.A., Elwood loved both the outdoors and fly-fishing. He built his simple rectangular “fishing shack,” complete with indoor-outdoor camp kitchen and an outhouse up the hill. He called it “Elwood #6.” Sons Elwood and John carried water from Granite Springs creek to the cabin. 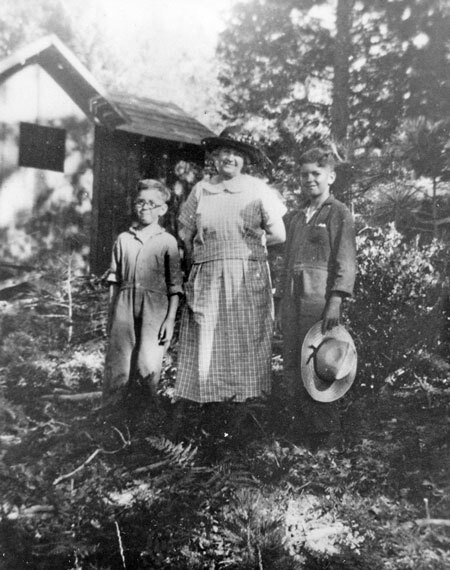 Elwood, Teck and Archie started the Tahquitz Meadow Improvement Association in order to develop a water system for the tract. (Forest Service leased the lots, but they were on their own for water.) That association continues today as the Saunders Meadow Homeowners Association. Elwood’s son John inherited the cabin in 1954, and soon doubled the size and modernized the interior. John served on the Saunders Meadow board for many years and was instrumental in the land exchange with the Forest Service in 1972, which resulted in fee simple ownership of the lots. John and Barbara’s son, architect Mark Jones, guided the association through the transition from its longtime private water system started by his grandfather to annexation by the Fern Valley Water District in 1995. Note: The 2016 paperback book by Robert Reyes presents an excellent history of Saunders Meadow. “Saunders Meadow – A place Without Fences, a History of the Term Occupancy Permit Act of 1915” is available at amazon.com.